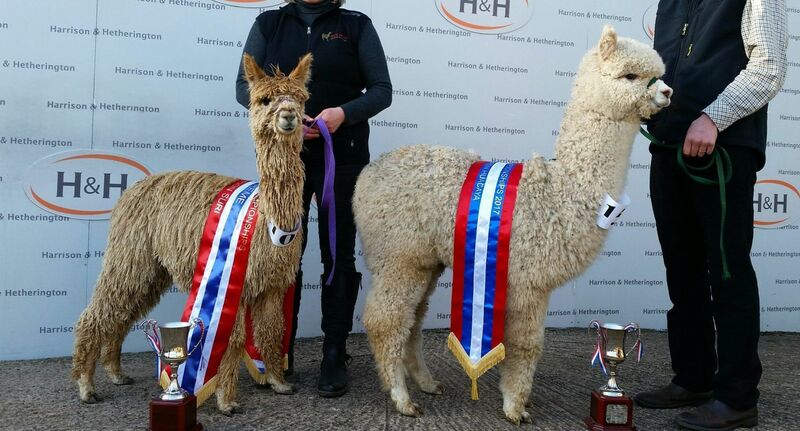 We have had a fantastic start to the show season. 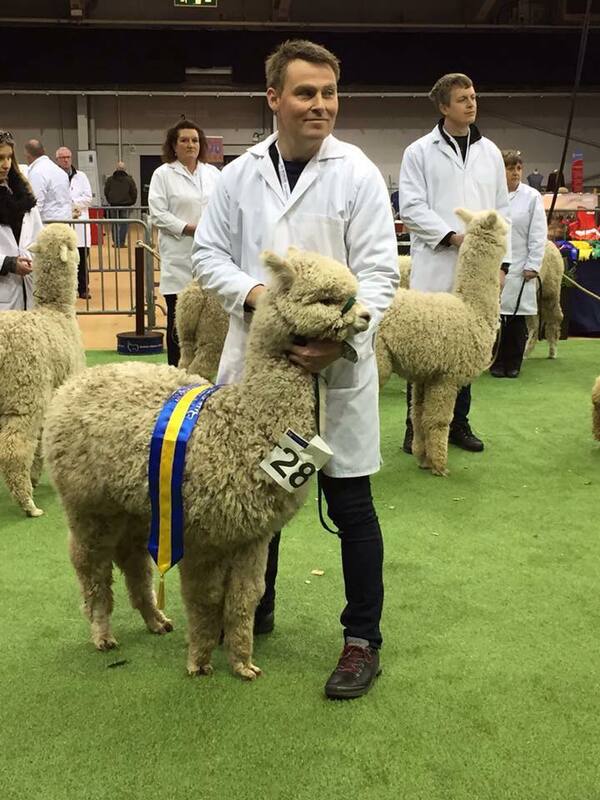 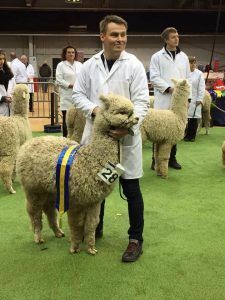 Firstly at the British Alpaca Society National Show, which was held in Telford in March, and attracted 560 entries from 100 breeders. 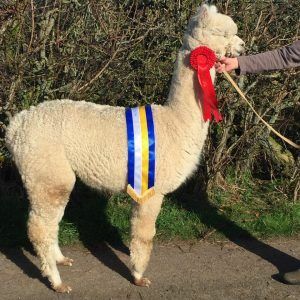 Getting any kind of broad ribbon as such a large show, and one that attracts some of very best alpacas in the UK, is a challenge. 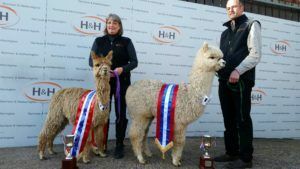 Hence we were delighted to come home with four Championships and one Reserve Championship as well as a bag full of rosettes including eight first places. Cambridge Lady Gaga (sire: Golden Gun) 1st Senior Light Female Champion Light Female. Our next show, the NWAG Alpaca Championships, was held in Carlisle on Saturday 1st April. 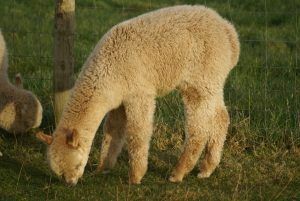 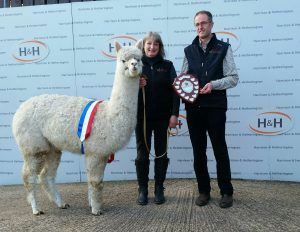 This year saw a record entry of 174 alpacas, expertly judged by BAS judge Mr Tim Hey. 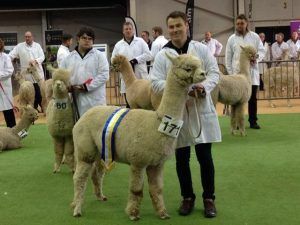 The NWAG Show is local to us, meaning many of our clients attend, this adds to the excitement as we hope to see them do well in the ring. 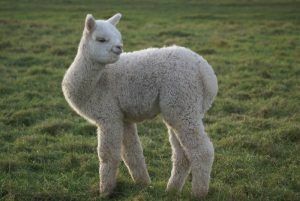 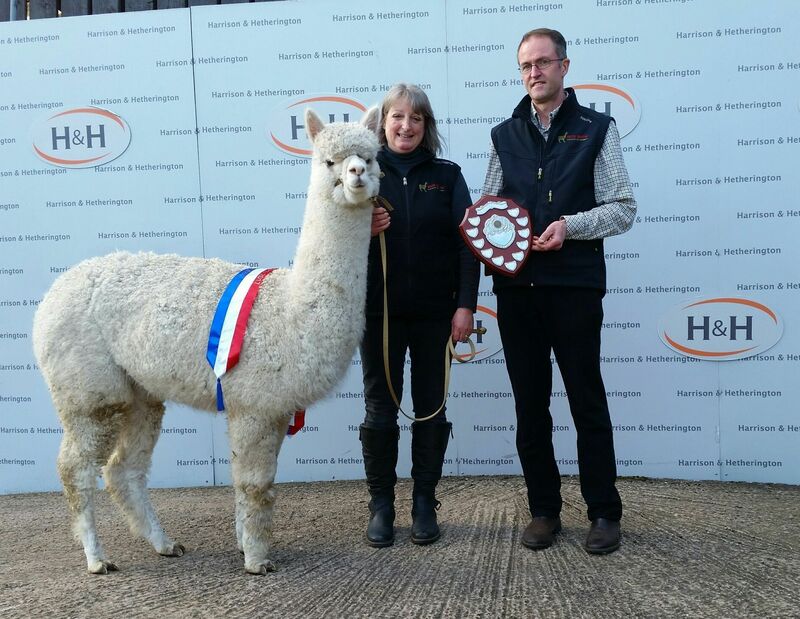 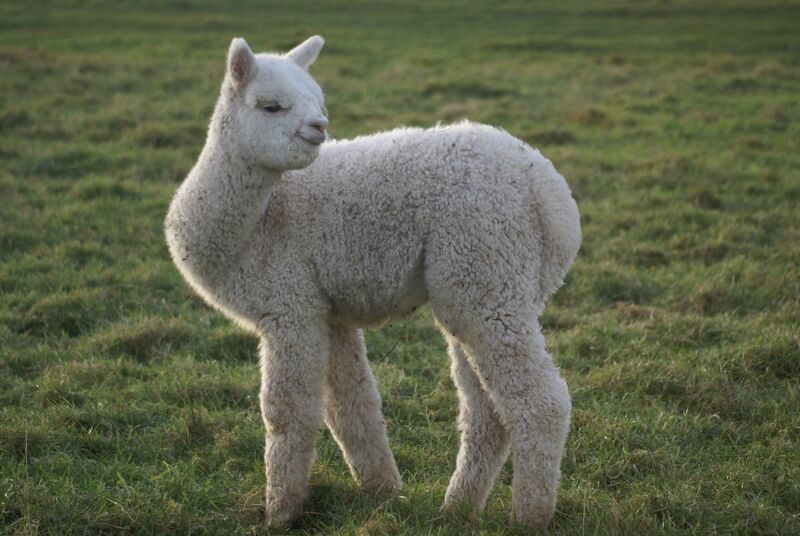 We are delighted to report that in the Huacaya classes; 10 out of a possible 12 Championships and 10 out of a possible 12 Reserve Championship were awarded to our alpacas, or alpacas sired by our stud males (20/24 in total). All 6 of the overall colour champions standing in the supreme line up were sired by our stud males. 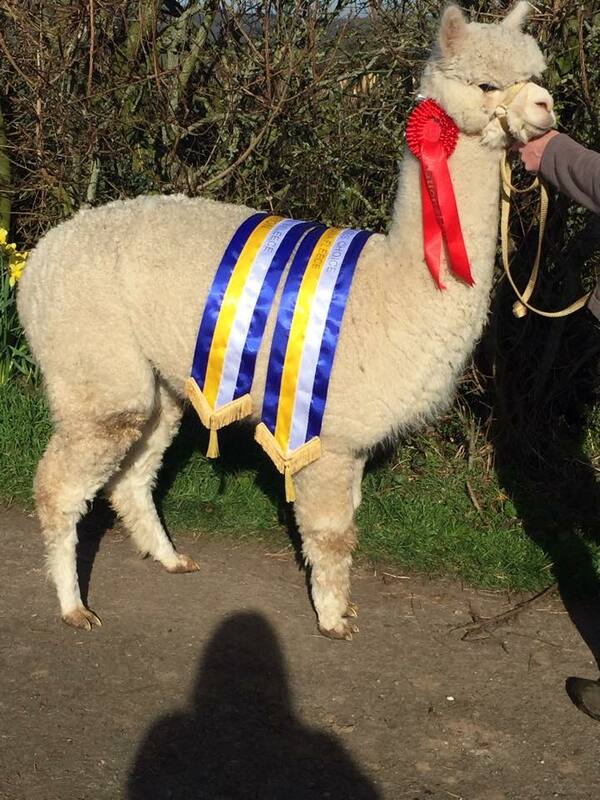 A very proud day.